SKU: 0003. Category: RoboBrrd. 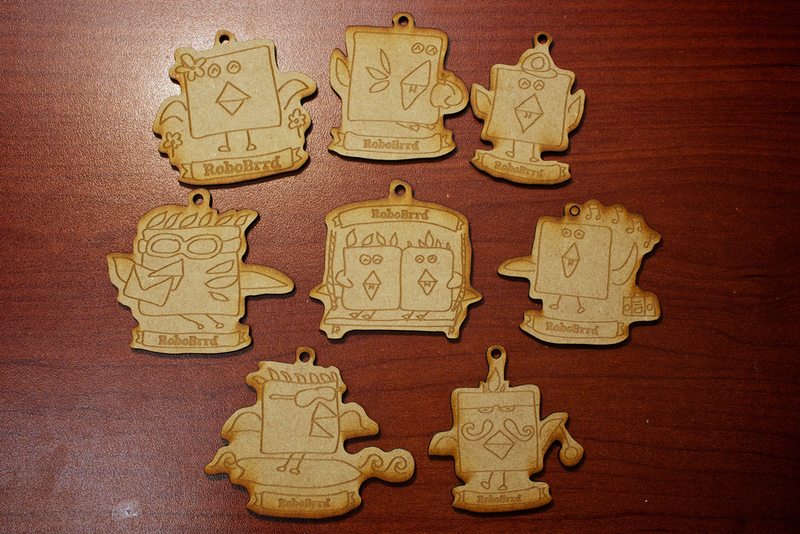 Tag: laser cut. 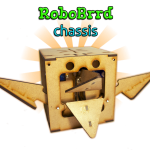 Show off your enthusiasm for RoboBrrd! 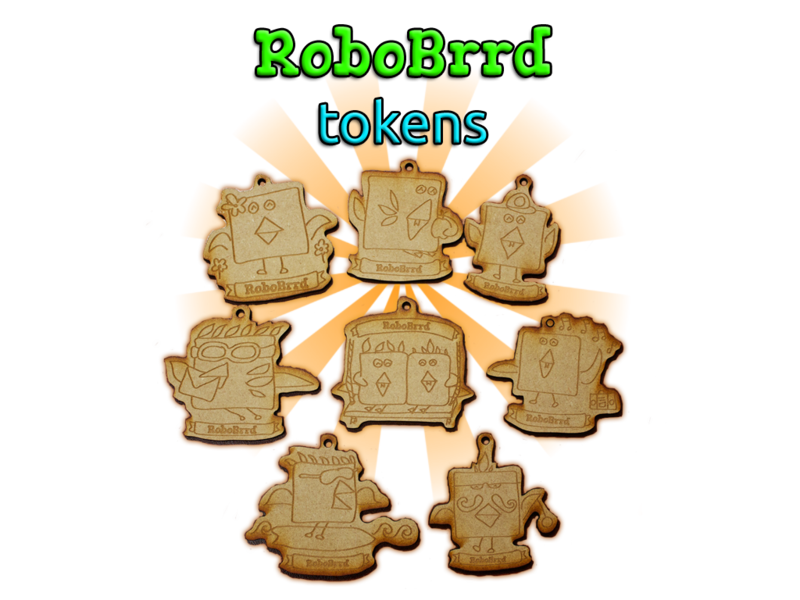 Give one to a friend to spread the RoboBrrdiness! Use them for good luck! 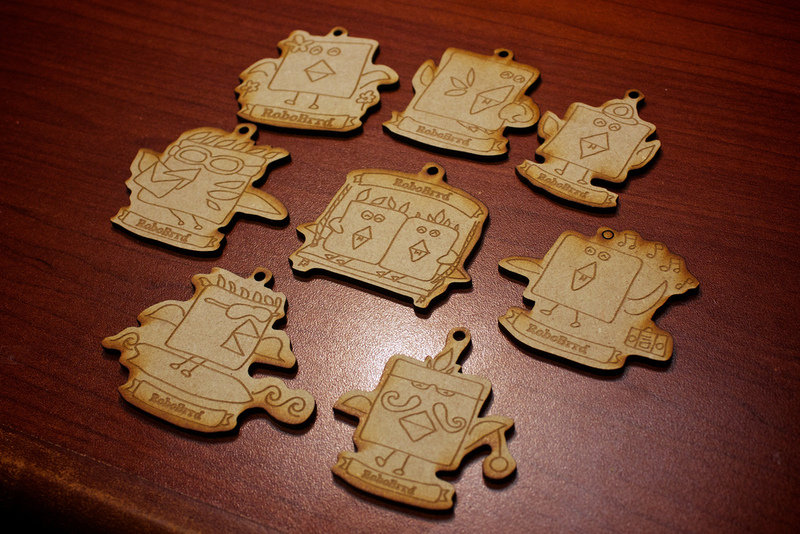 The RoboBrrd Tokens are laser engraved on 1/8th mdf. They are durable, and can be used as a keychain or necklace. 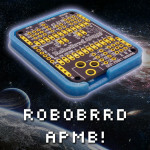 Add them on to your RoboBrrd as accessories! There are three tokens (chosen at random) in one pack. Collect them all! 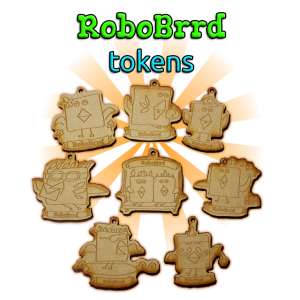 Be the first to review “RoboBrrd Tokens” Click here to cancel reply.